Fashion is a way of defining both the personal and the group on the world stage. It marks upward economic mobility — or at least the appearance of it. It’s a way of emphasizing the past, remarking upon it and announcing that it’s time to move on. The many and varied first ladies of African nations use fashion to celebrate culture, individuality and that universal human weakness: conspicuous consumption. Margaret is the wife of Uhuru Muigai Kenyatta, making her Kenya’s First Lady. She is 50 years of age and still look elegant even with whitish hair. Even being 61 years old, Dominique makes a beautiful First Lady – among the most beautiful in the whole world, in fact. She is Algerian by birth and is a businesswoman. Marie Olive is one of the youngest women in Africa to be an official First Lady (at age 38). She stayed President Joseph Kabila’s fiancée for a long time before they were married. Ana Paula, before being a First Lady, was a model and air hostess, which is how she got to know her current husband, President Jose Eduardo dos Santo, during a presidential flight shift. She has three kids with him and they make an absolutely stunning couple. She holds degrees in law and teaching and is also part of the International Steering Committee. A widely known fact is that King Mswati the III has 15 wives, and out of them, LaMbikiza is the first wife he chose for himself, apart from the arranged brides. Even though Queen LaMbikiza dropped out of school when she was 16 just to marry the King, she managed to attain a degree in law after being married. The law degree remains in name as the Queen is not allowed to exercise her profession, in fear of being favored because of her status. However, she is an extremely ambitious woman and she does many other works to establish her name. Overall, she is a beautiful and talented woman with a soft sweetly voice that define her personality. Zeinab Suma is originally from Morocco, a mother of two, and a beautiful and elegant woman. However, the talks that go around about her are harsh, and many people call her many negative terms such as, “gold digger” and “devilish”. The Gambian President Yahya Jammeh married another wife Alima Sallah in the presence of his first wife Zeinab Suma. She protested about it until the President reportedly divorced the second wife. Often by her husband, Hinda Deby Itno is a beautiful, humble, and fashionable person. She is known for her signature style of flowing gowns and matching scarves. She is also an intellectual lady and the president claims she helps him in his affairs. Hinda’s smile and mature sense of mind makes her the most famous wife of all the president’s wives. Chantal Biya is a woman of fashion – she is just as much renowned for her style and hairstyles as she is for being a First Lady. She always manages to whip up something new and creative in her style, and Chanel and Dior are her favorite designers. Most of the outfits she wears are custom-made. Some people believe her fashion sense is too over the top but a vast argument always denies that. Chantal Biya is extremely social; she has met many famous personalities who cherish her style like Paris Hilton, and is a member of the African Synergy. Topping the list of the most beautiful First Ladies in Africa is Sylvia Bongo Ondimba, who is also considered to be one of the most beautiful first women of the world, even succeeding the beautiful Chantal Biya, First Lady of Cameroon. She ranked #7 on our list of world’s most beautiful First Ladies. The Gabon First Lady’s beauty is further advanced by her love for fashion; she is a big fan of famous designer, Valentino and the brand, Chanel, and is also a member of the haute couture club. Likewise, her own style is never off, and she wears great custom-tailored clothes. Sylvia is also a women and children activist and her confidence and passion makes her shine. 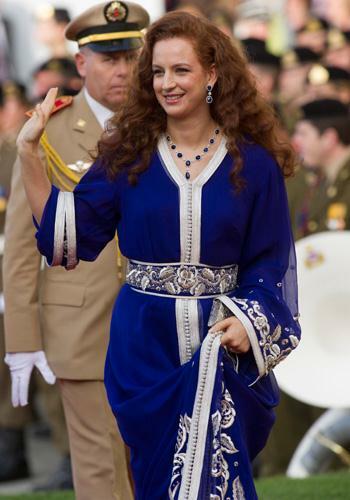 Princess Lalla Salma is married to King of Morocco, Mohammed the. VI. Physically as well as intellectually, Lalla Salma is beautiful. 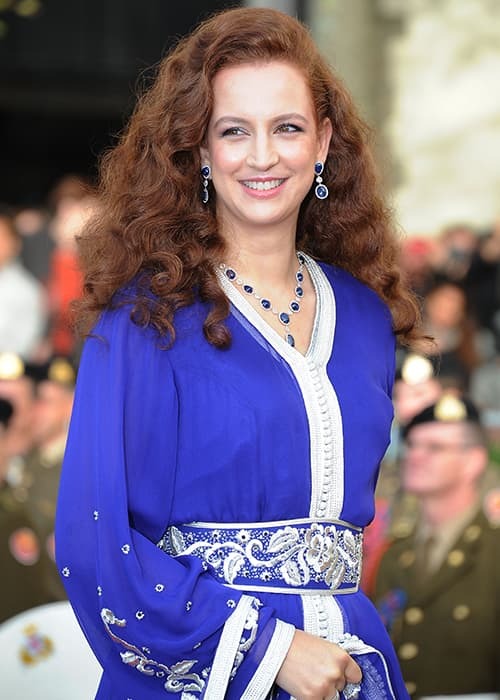 Princess Lalla Salma is married to the King of Morocco, Mohammed the. VI. Physically as well as intellectually, Lalla Salma is beautiful.